Edible Butterflies for Cakes. Edible Cupcake Toppers. Edible Image. Ombre Butterfly Cake. Wedding Cake Topper. 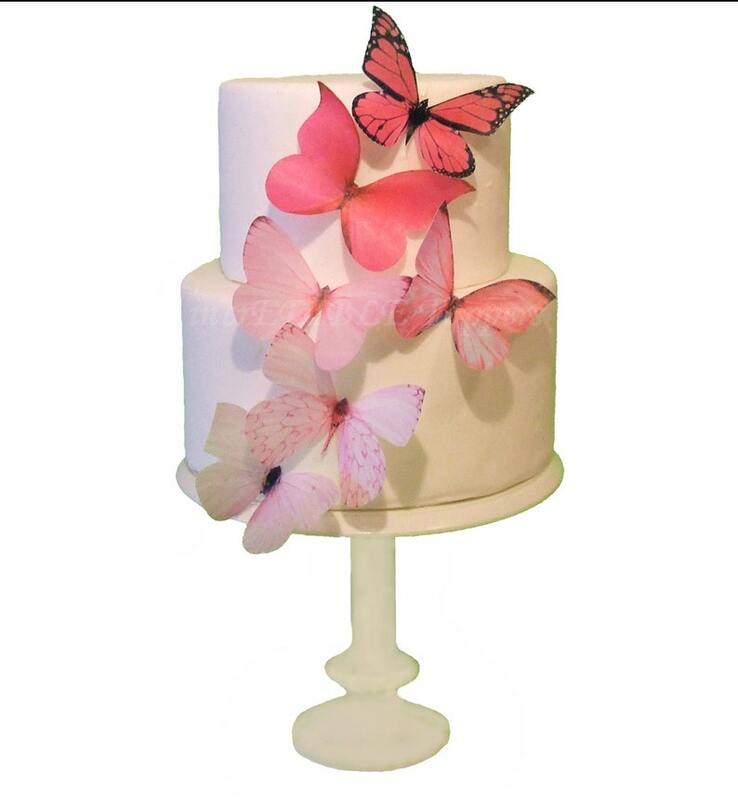 Gorgeous Pink Ombre Edible Butterflies for a perfectly pretty pink cake! 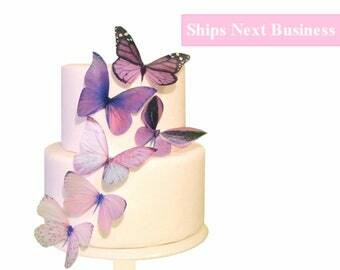 Baby shower cakes adorned with butterflies, sweet 16 birthday cake, and wedding cupcakes - fancy up your dessert table! Please review our Policies Page for Shipping Times. Canada and USA Standard Shipping can take 1-3 weeks, depending on your location. Upgrades are available at the checkout. Excelent product, awesome buterflies, good size, we use them fia 10 inch and a 7 inch tall cakes, the colors was beautiful, they arrived on time, they came vacum sealed, good size, everybody loves them. I received my butterfly decorations for my daughter's first birthday and they came in the mail very quickly and were just perfect!! I highly recommend this shop! !